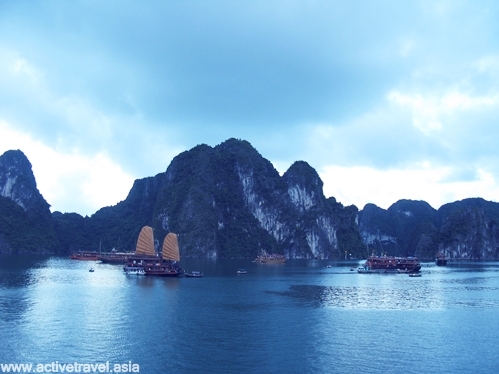 Vietnam seems to be one of the new hotspots in Southeast Asia. Vietnam’s new slogan is “it’s a country, not a war”. Currently Vietnam is experiencing a massive influx of tourists not only interested in it war history, but also interested in the immense amount of soft adventure trips available throughout the country. Often touted as Vietnam’s number one tourist destination, Halong Bay, literally means “where the dragon descends into the sea.” This is an area of more than 3000 islands, where tourist come to swim, explore, and visit a natural, scenic areas recognized in 1994 on UNESCO’s World Heritage list. This is a scenic area not to be missed! Many of the islands are uninhabited, but some have floating villages of fishermen. Most travelers rent boats and spend multiple days exploring the tiny islands. There are some great caves and inlets to explore. The great way to experience this is on sea kayak, and sleeping in a tent at night, instead of taking the main tourists boats like everybody else. The highest point in Bach Ma National Park, the mountain is only 140 meters above sea level and about 18 miles from the coast. Although the mountain is steep and dense, it makes a good day hike to the top. There are great view on the way. Using Dalat as a starting point, head west toward the border of Cambodia and Laos. If you go far enough west, this is a great way to get somewhere way off the typical Vietnam traveler circuit. This is home to a bunch of ethnic minority villages. Some traveler’s report that tourists are not welcome, but other report to have truly remarkable experiences. If you don’t have time, energy, or the will power to visit the Western Central Highlands, then the areas around Dalat are perfect for adventure. 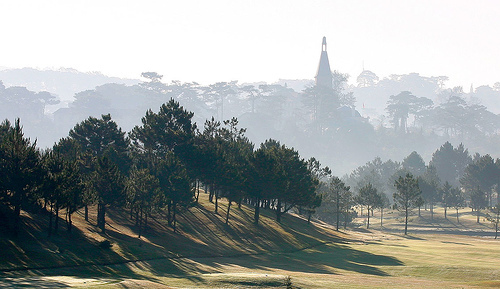 Dalat is a hill station in the central highland. There are mountain highlands with tiny villages scattered around throughout the area. It makes a fascinating area worth exploring. There are a number of standard expensive tours you can arrange in the city, but it’s much better to hire your own guide, usually one that approaches you in the streets. Then, you hire a moped, and he will take you to little villages in the middle of bascially nowhere, staying a night or two and having a real cultural experience. There are some villages in the area that is off limits to tourists – just look for the sign that has a C.
In southern Vietnam near the border of Cambodia lies Mekong Delta. Known as “Vietnam’s Rice Belt,” the Mekong Delta is a huge system of canals of all sizes that flow into the Mekong River, one of the longest rivers in Asia. This picturesque area is almost all under cultivation, and produces enough rice to feed the entire population of the south and the central regions of Vietnam. This is a great place to relax away from the big cities, taste good fruit and vegetables, and meet local people. 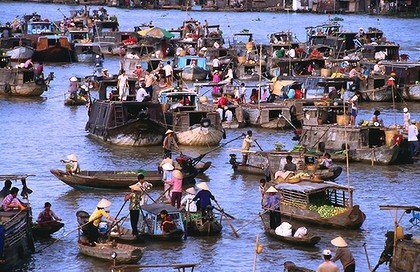 There are a number of interesting adventures through the Mekong Delta. You can take a boat through some of the rural waterways. Most people hire guides but you can also attempt it on your own. The Mekong Delta is also a fascinating place for cycling. You can get a true glimpse of rural life and interact with locals, although conversations are difficult.